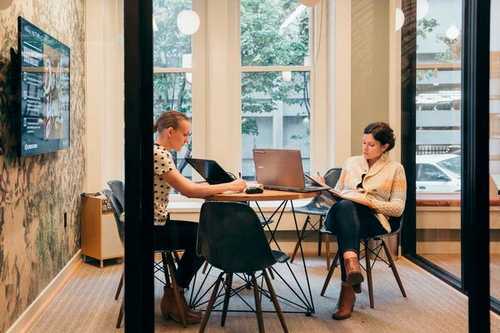 Our historic six story office building is centrally located in downtown Seattle at First and Spring. We occupy the entire building. 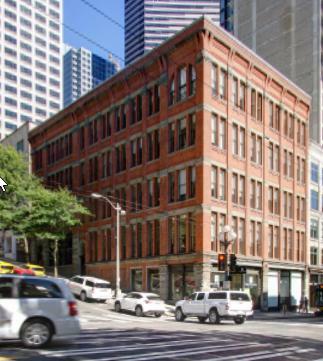 The Holyoke Building was the first one to be constructed after the Great Seattle Fire of 1889. 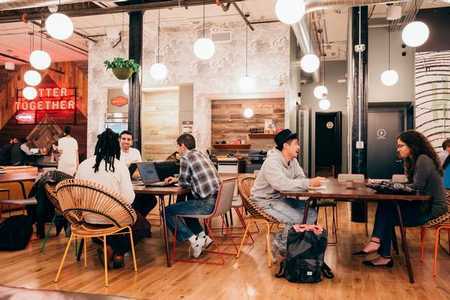 Our unique coworking space combines historic charm that includes exposed brick and stone walls, high ceilings, and tall window. In addition, we have designed it to have a polished and contemporary Northwest interior. 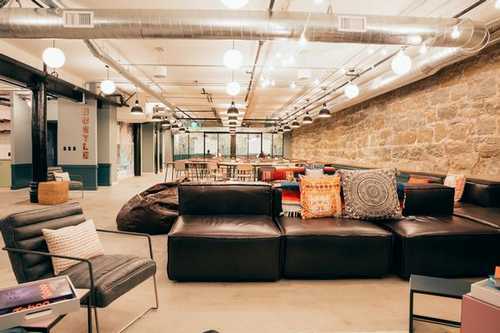 There are lots of open and airy common spaces and an event space on the lower level. You can even feel free to bring your dog to work. In fact, it’s a great way to meet other members. We work hard to find ways for our members to create synergy together. 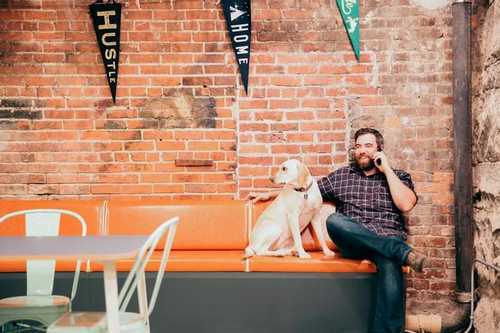 Our Holyoke office building tends to attract more established companies, especially those looking for a cool community and peaceful place to work. Pioneer Square, just a few blocks away, is filled with great restaurants and bars. You’re easy walking distance from the Seattle Ferry Terminal, and the closest bus stop is a couple of blocks away. There’s parking in a building just across the street. 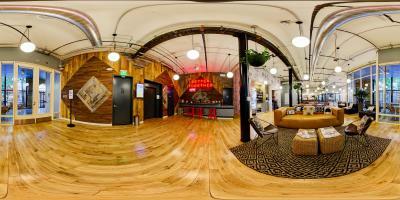 If you are looking for office space in Seattle’s downtown area, make sure to set up a time to come by and visit.